The consumer action group Citizens for Health, designated today as “Read Your Labels Day,” to create awareness about potentially harmful ingredients and chemicals found in thousands of grocery store products. The non-profit group singled out these top ten artificial sweeteners, preservatives and chemical additives to avoid and identified which foods contain them and why they should be avoided. 1. High Fructose Corn Syrup (HFCS) – is a cheap super-sweet chemical made from corn that is found in a wide variety of foods and beverages–from sodas to salad dressing. HFCS and high fructose consumption have been implicated in a variety of diseases and health problems, including heart disease, diabetes and weight gain. 2. Aspartame – This artificial sweetener is found in many diet beverages and other sugar-free foods. Aspartame is considered by experts to be in a class of ingredients called “excitotoxins” that can overly excite brain cells, especially in children and the elderly. Thousands of aspartame-related health complaints, from migraines to memory loss to dizziness to vision problems have been reported to the FDA. 3. 4. and 5. Flavor Enhancers (Hydrolyzed protein, Autolyzed yeast and Monosodium glutamate [MSG]) – These three ingredients are often found in processed foods such as canned or dry soups, chips, dips, frozen dinners, and snacks. All three contain processed glutamic acid that damages brain cells. They are especially harmful to kids, the elderly and developing fetuses. Adverse reactions include skin rashes, asthma attacks, mood swings, upset stomach, migraines, heart irregularities and seizures. 6. Potassium Bromate – Often added to flour, it can be found in breads, flat breads, bakery products and tortillas. (It may also be listed as “bromated flour.”) Potassium bromate has been known for over three decades to cause cancer in laboratory animal and is banned in Europe, China, Canada and Brazil. 7. Bromated Vegetable Oil (BVO) – Beverages containing citrus flavorings often contain this ingredient that has never been declared safe by the FDA and is banned in Europe, India and Japan. BVO builds up in fatty tissue and causes heart damage in research animals. 8. BHA and BHT Preservatives – These additives are found in breakfast cereals, snack foods, pastries and processed meats. Made from coal tar or petroleum, these chemicals affect brain chemistry of laboratory animals and are considered a carcinogen in California and a possible carcinogen by the World Health Organization. 9. Trans Fats – Food products that list “partially hydrogenated oil” as an ingredient contain trans fats. These oils/fats are usually found in baked goods, snack foods and frozen meals. Trans fats increase LDL (bad) cholesterol and contribute to heart disease. High consumption has also been linked to cancer and Alzheimer’s Disease. 10. Artificial Colors – Often made from coal tar and/or petroleum extracts, artificial colors are widely acknowledged to cause hyperactivity and behavioral problems in some children. Certain colors, such as Red #3, have been shown to cause cancer in laboratory animals, but are still allowed to be used in foods. The best way to avoid these and other artificial ingredients is to purchase whole, fresh foods or organic processed foods. Otherwise, taking a moment to “Read the Label” is a must to protect you and your family from these chemicals. 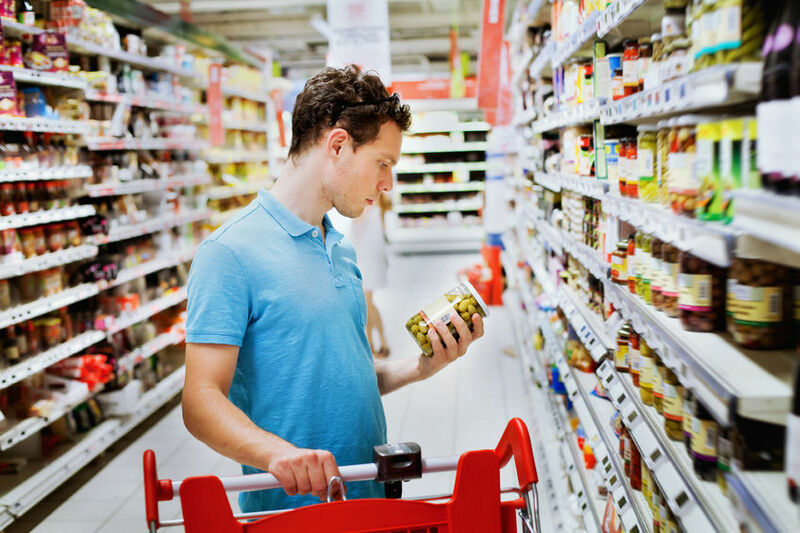 Although many shoppers already read label ingredients, a 2011 study from market research firm Mintel found that less than half of consumers surveyed checked the ingredient labels on the foods they bought. For more on this topic, see Fooled by Food Labels: 9 Deceptive Claims to Watch Out For.